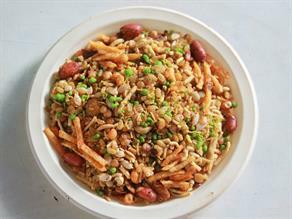 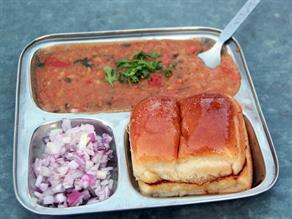 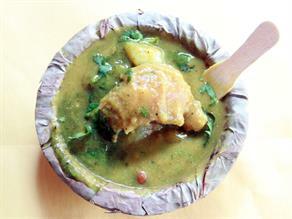 The spicy Kachauri at Shri Nath Ji Namkeen attains a unique taste owing to the use of Heeng (asfoetida) in it and served with the green chutney made with garlic. 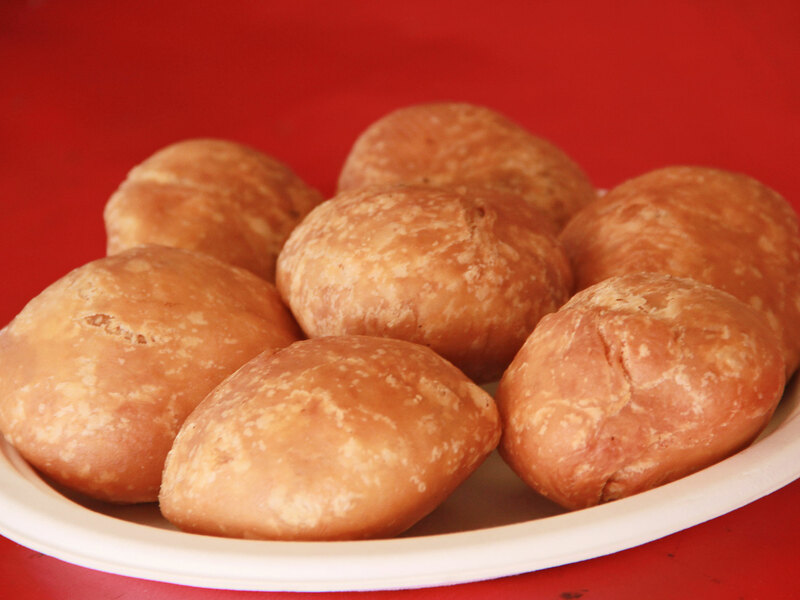 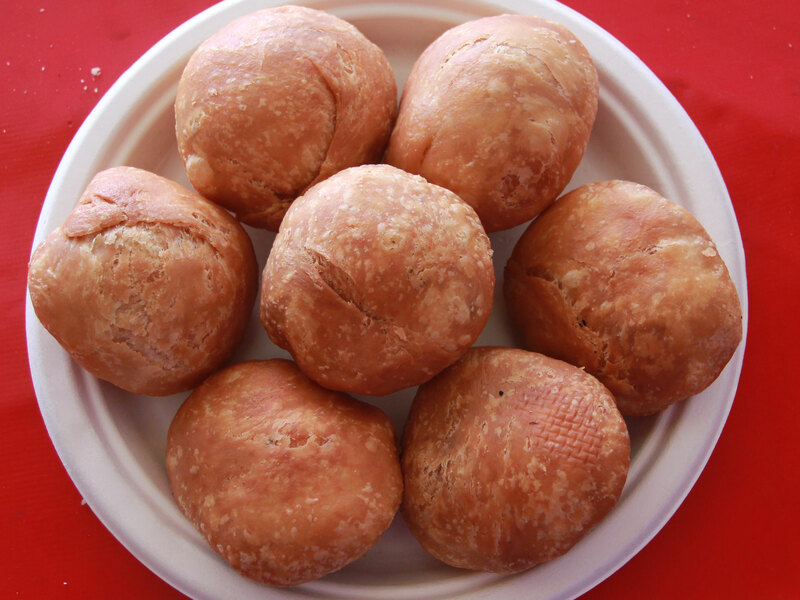 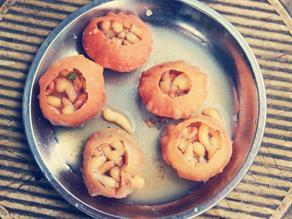 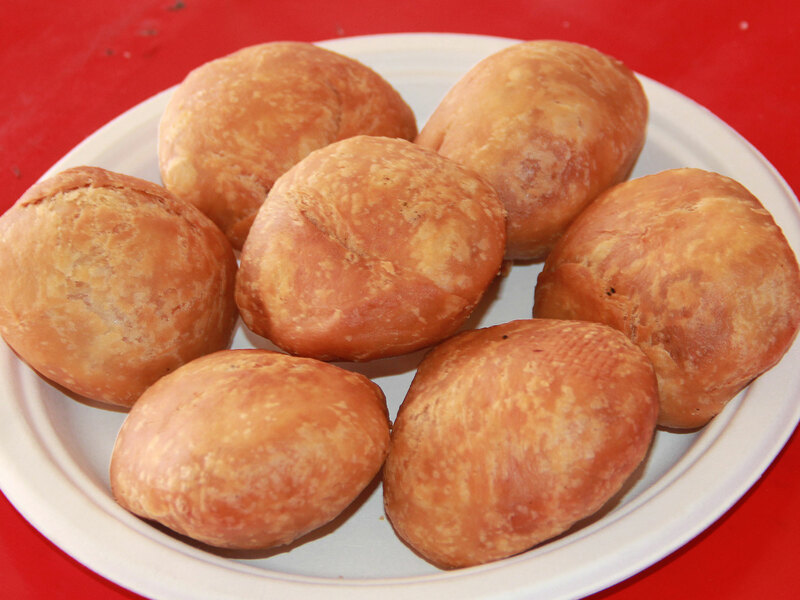 This Shri Nathji Namkeen's Kota Kachauri is a delicious, spicy, deep-fried puffed round balls of Maida (all-purpose wheat flour) filled with spicy mixture of Urad Daal (lentil-washed black gram soaked overnight in the water), Besan (gram flour) etc. 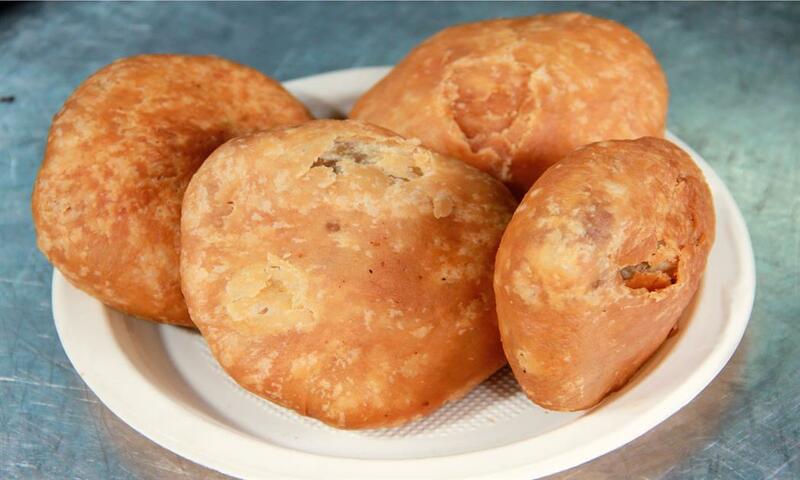 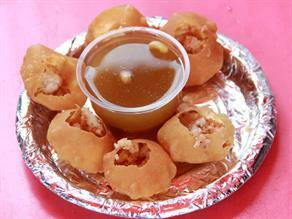 seasoned with usual spices and Garam Masala (assortment of several spices). 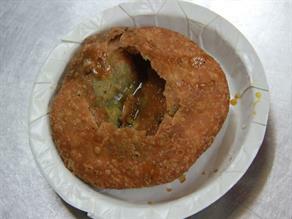 It is relished with green chutney (sauce) made from coriander leaves, Pudina (mint), salt, garlic etc, and sweet chutney made from Tamarind and jaggery. 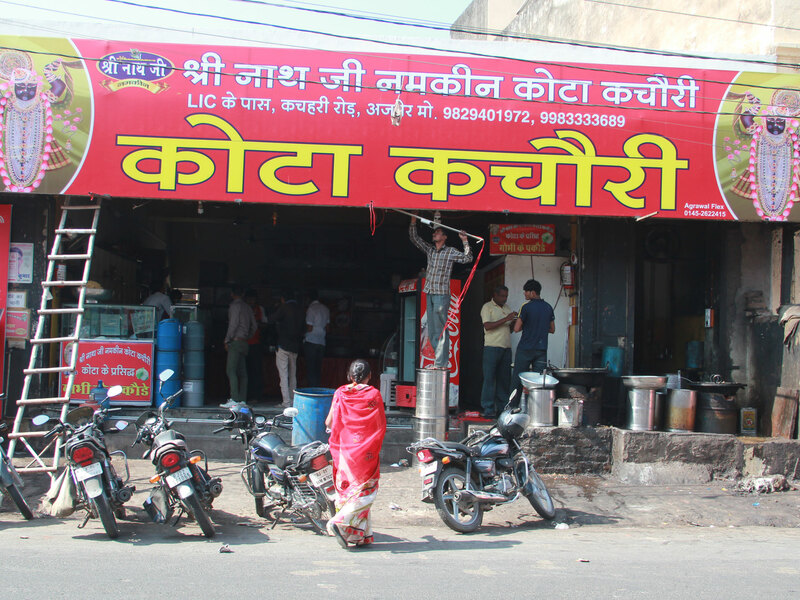 Established one and a half year ago, Shr Nath Ji Namkeen, popularly known as ‘Kota Kachauriwala’ is very famous in the area. 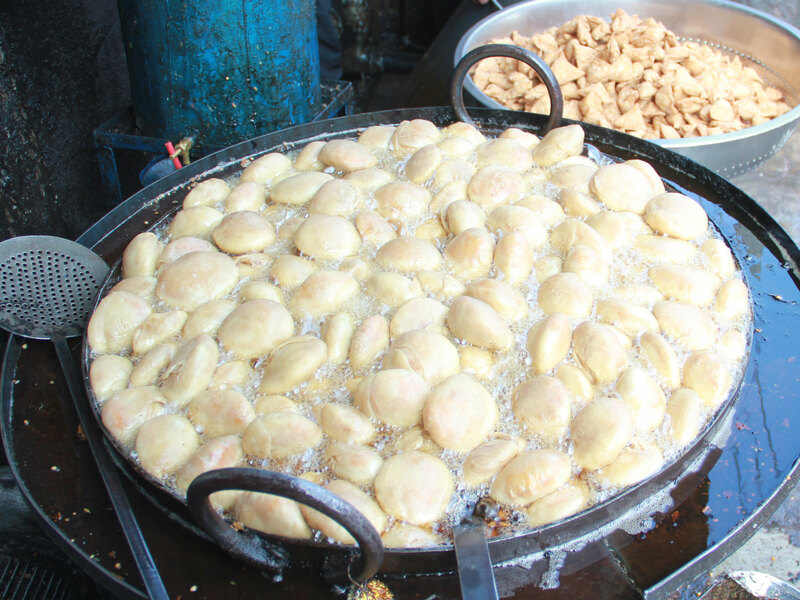 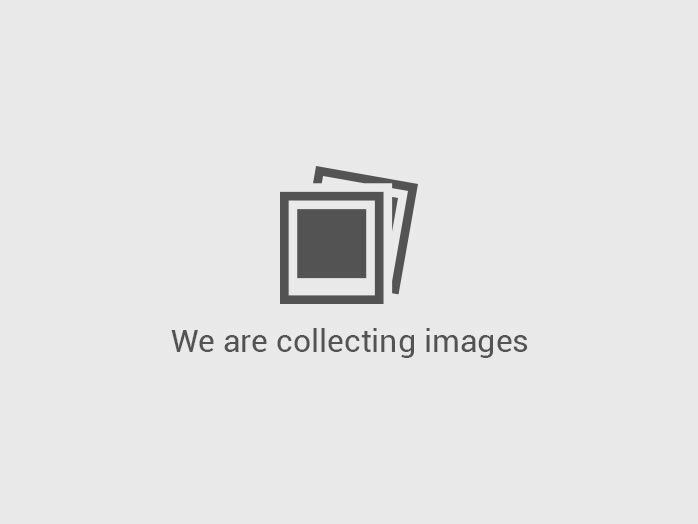 It has been able to make a niche in the market. 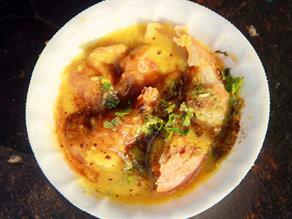 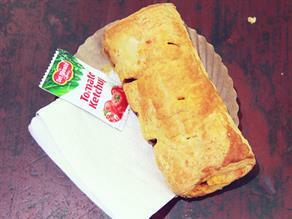 Its Kachauri is the major attraction for the visiting customer.